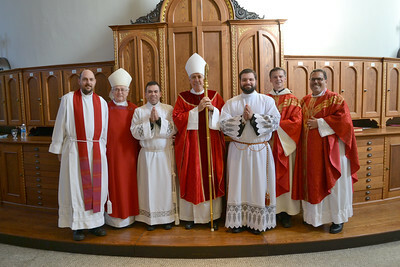 Six seminarians from the dioceses of Pittsburgh, Erie, Metuchen and Saint Vincent Archabbey were instituted into the ministry of acolyte on October 18, 2017 by Most Rev. 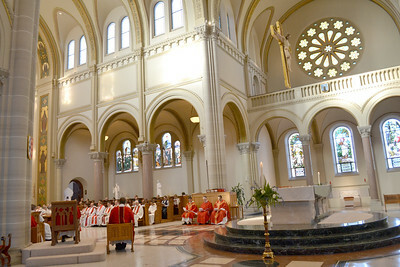 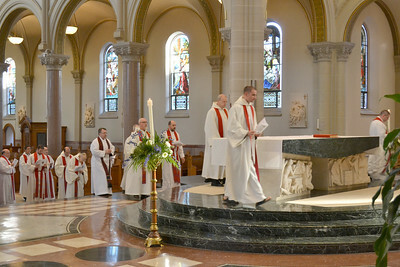 James Checchio, Bishop of Metuchen at Saint Vincent Archabbey Basilica. 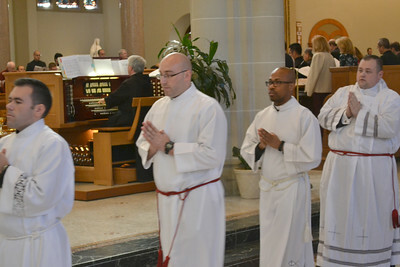 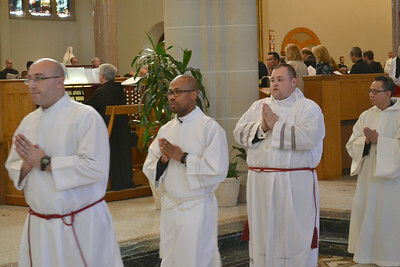 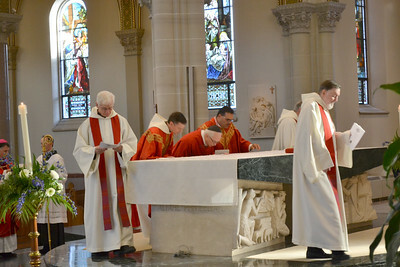 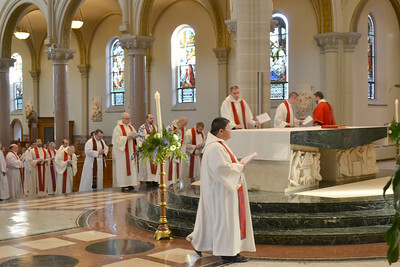 The acolyte is instituted to serve at the altar and to assist the priest and deacon. 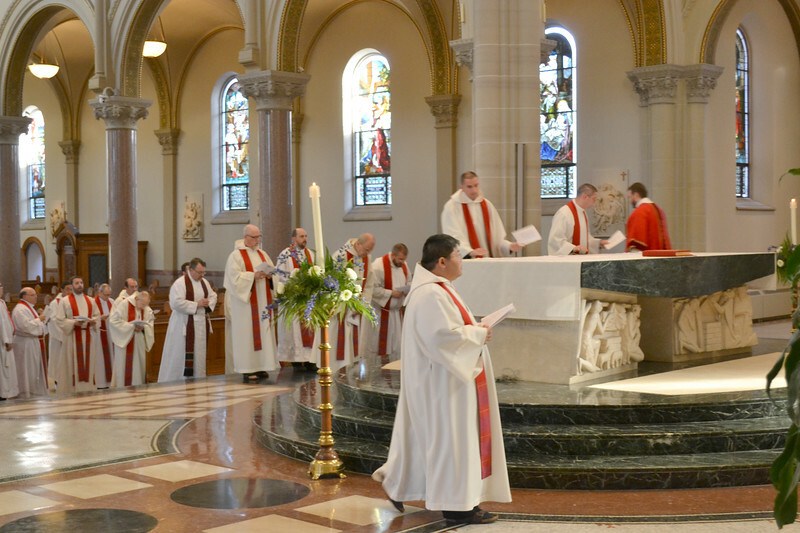 Two Erie seminarians were instituted into the ministry of acolyte on October 18, 2017 by Most Rev. 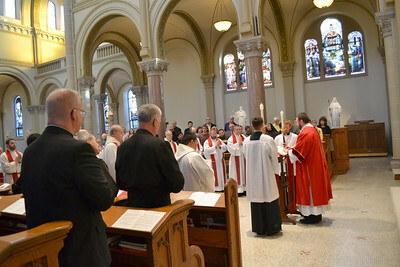 James Checchio, Bishop of Metuchen at Saint Vincent Archabbey Basilica. 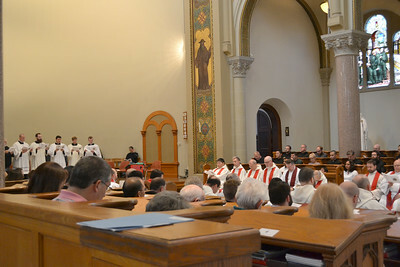 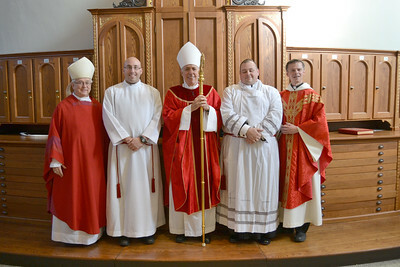 From left are Archabbot Douglas R. Nowicki, O.S.B., chancellor; Joseph Petrone, Diocese of Erie; Bishop Checchio; John Hepinger, Diocese of Erie; Very Rev. 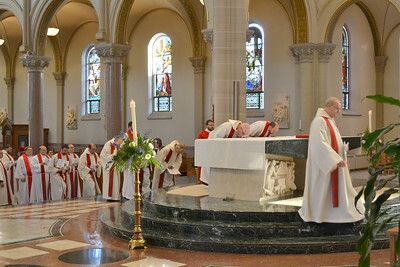 Edward Mazich, O.S.B., seminary rector. 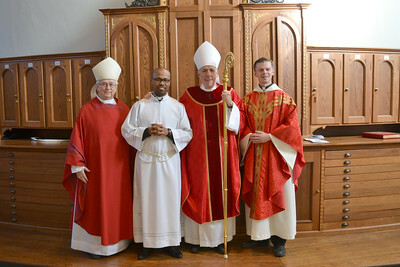 A Metuchen seminarian was instituted into the ministry of acolyte on October 18, 2017 by Most Rev. 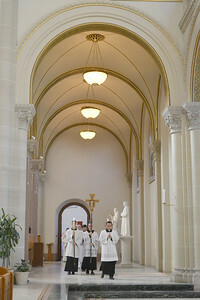 James Checchio, Bishop of Metuchen at Saint Vincent Archabbey Basilica. 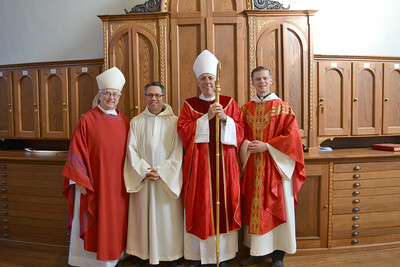 From left are Archabbot Douglas R. Nowicki, O.S.B., chancellor; Gustavo Rodriguez-Perez, Diocese of Metuchen; Bishop Checchio; Very Rev. 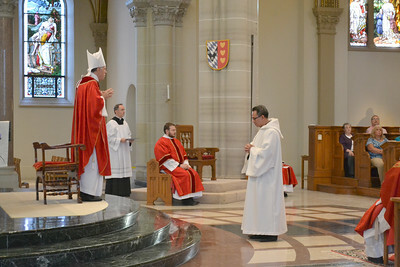 Edward Mazich, O.S.B., seminary rector. 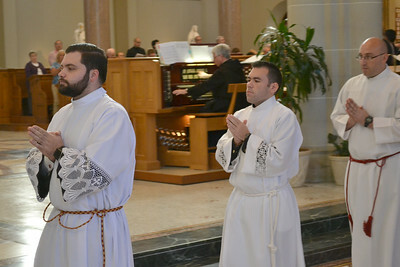 Two Pittsburgh seminarians were instituted into the ministry of acolyte on October 18, 2017 by Most Rev. 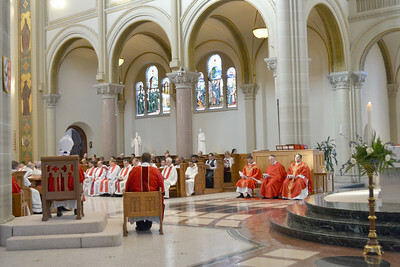 James Checchio, Bishop of Metuchen at Saint Vincent Archabbey Basilica. 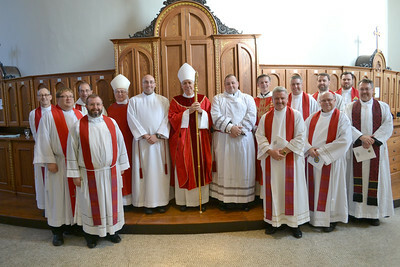 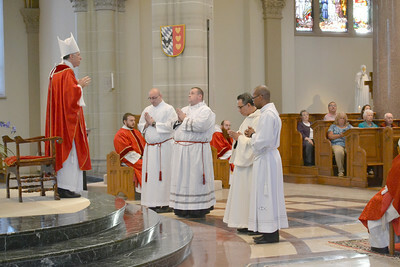 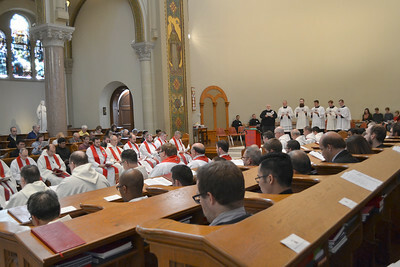 From left are Archabbot Douglas R. Nowicki, O.S.B., chancellor; Kristian Sherman, Diocese of Pittsburgh; Bishop Checchio; Joseph Uzar, Jr., Diocese of Pittsburgh; Very Rev. 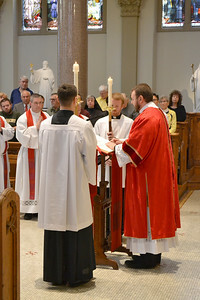 Edward Mazich, O.S.B., seminary rector. 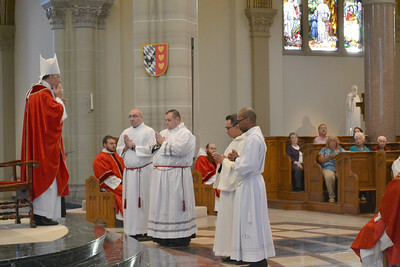 A Saint Vincent Archabbey seminarian was instituted into the ministry of acolyte on October 18, 2017 by Most Rev. 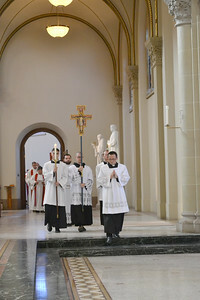 James Checchio, Bishop of Metuchen at Saint Vincent Archabbey Basilica. 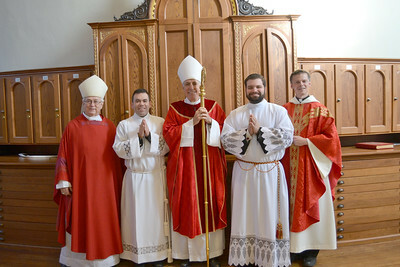 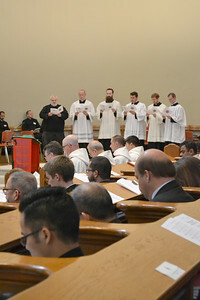 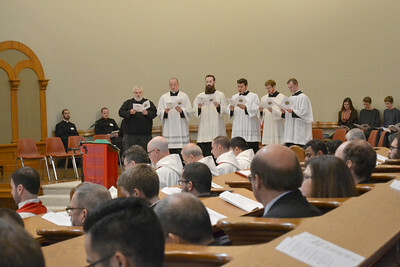 From left are pictured Archabbot Douglas R. Nowicki, O.S.B., chancellor; Brother Ignatius Camello, O.S.B. 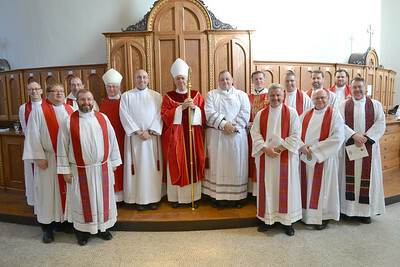 ; Bishop Checchio; Very Rev. 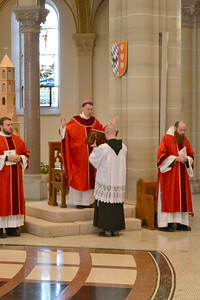 Edward Mazich, O.S.B., seminary rector.